Over the years I have been buying jars of Black & Green Olive Tapenade. And considering myself lucky to find them. 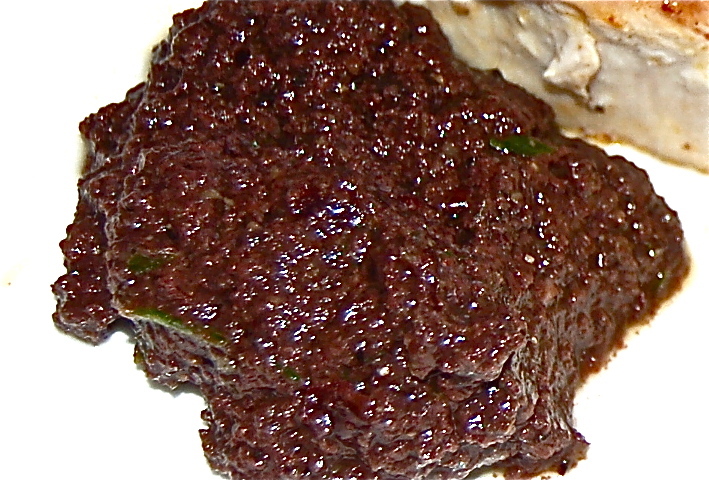 In the Aug/Sept 2011issue of FineCooking on page 90 is a feature for “Tapenade, A French olive spread” that for me does the trick. It took no time to assemble the ingredients, no time for the food processor to make it happen. And It tasted like a tapenade crostini might, at a table in a garden in the South of France. 2. With the motor running add the EVOO & Lemon Juice. 3. Transfer to a bowl & stir in the Parsley & 1/4 tsp of Pepper. 4. Can be refrigerated in an airtight container up to a month.